Nebraska just landed an exciting playmaker that can change a game with one play. 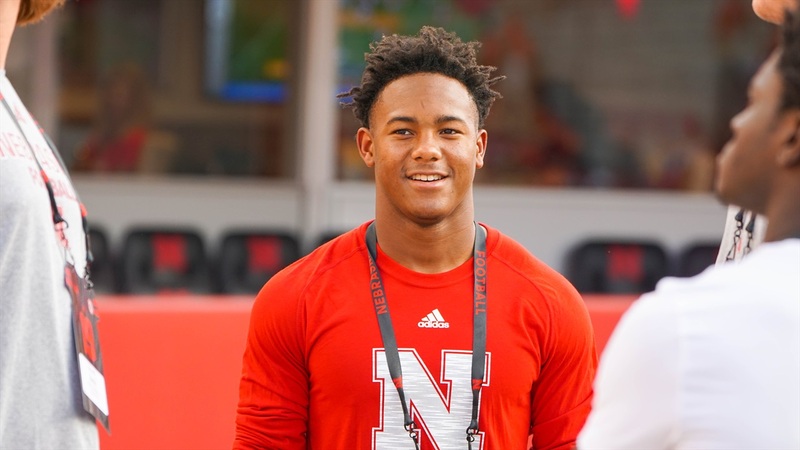 On Thursday, 4-star (HV Rating: 92.9) ATH Wandale Robinson‍ joined the Huskers’ 2019 recruiting class. Robinson announced his decision to flip from Kentucky to Nebraska on Twitter. The Kentucky speedster from Western Hills High School in Frankfort took his official visit to Nebraska for the “game” against Akron. After that visit, he told Hail Varsity that he was blown away by what he saw before the game was canceled. Robinson is another huge piece to the offensive puzzle that Frost and his staff are trying to build in Lincoln. He had a sensational senior season with 3,112 total yards and 47 total touchdowns. For good measure, he has 119 tackles on defense with 12.0 tackles for loss. When talking to his high school coach, Don Miller you see why everyone views Robinson as the perfect fit for Nebraska’s offense. That description sounds exactly like the type of “five-tool” prospect that running backs coach Ryan Held said he was looking for during the fall. Robinson’s initial group of finalists included Purdue, Ohio State, Alabama, Michigan and Kentucky. It was a difficult decision to leave his home state school Kentucky behind but Nebraska has already made a huge impressing on him. He held over 20 scholarship offers from schools around the country. Robinson is the 23rd known commitment for the class. Keep it locked to Hail Varsity for more to come on the huge recruiting win for Nebraska.